It's no secret that President Obama is an avid reader. But, he just got even more cred with book-lovers by praising everybody's favorite children's author: yep, Obama loves Dr. Seuss. In a Q&A session with interns, Obama admitted that "pretty much all the stuff you need to know is in Dr. Seuss." And of course, he's spot on. Obama won his way into the hearts of book nerds last year when he declared that reading novels made him a better citizen. (And considering he's the leader of the entire country, he's pretty much the best citizen there is.) 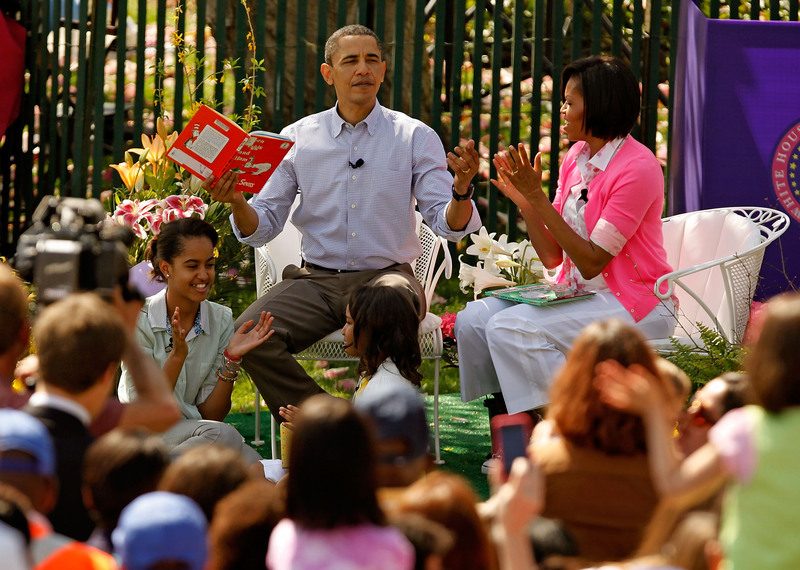 Obama claims that reading teaches you vital skills of empathy — and that Dr. Seuss taught him that lesson particularly well. In this video recently released by the White House, Obama tells the listening interns that the Star-Belly Sneetches showed him "we're all the same, so why would we treat somebody differently?" And as if that wasn't a brilliant enough analogy, he then goes on to muse about the nature of responsibility that he learned from Horton Hatches the Egg. I love when Obama talks about books. His tribute to Harper Lee was pitch-perfect, and his pick for best book of 2015 showed that he's got impeccable taste in novels. And even better, his love for books and reading led him to release $250 million in e-books to educators. Who else is hoping that after his presidency is over he becomes a librarian? Or perhaps my private lit tutor...?